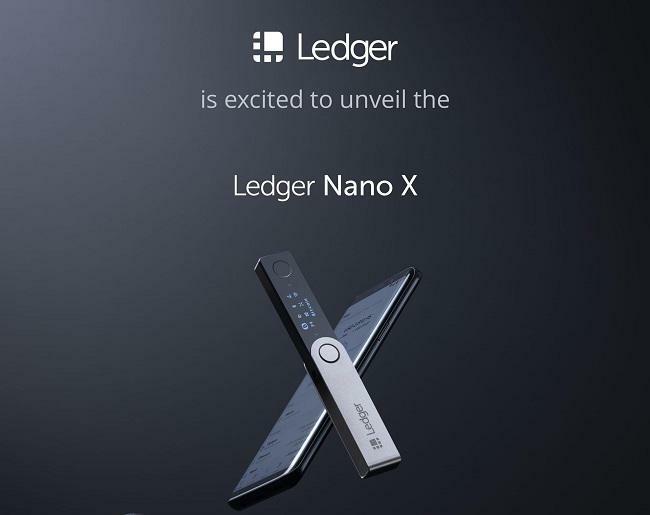 Crypto wallet provider Ledger has unveiled a new Bluetooth-enabled hardware wallet, Ledger Nano X. In its official release, the company explained that the new wallet improves on its existing hardware wallet offering, Ledger Nano S, which has sold over 1.5 million units. Along with Ledger Nano X, Ledger has launched the Ledger Live Mobile app, which will allow Ledger Nano X users to manage secure transactions, install and uninstall apps, and check their real-time balances on the go. For Ledger Nano S users, the app will enable them to check their balance in read-only mode. Ledger Nano X’s Bluetooth feature provides increased mobility to users without sacrificing security, Ledger said. By easily connecting through the Ledger Live Mobile app, it allows users to connect the device to their smartphone. The Ledger Nano X has an improved interface with a larger screen can store up to 100 crypto assets – six times more capacity as compared to the Ledger Nano S.
"The Ledger Nano X includes all of what you loved about your Nano S, but with new and improved major features," said Eric Larchevêque, CEO at Ledger. "With its Bluetooth connectivity and increased capacity, the Ledger Nano X provides an enhanced user experience while delivering the mobility and state-of-the-art security that customers expect from Ledger." The new wallet also ensures security by isolating private keys, which represent ownership of the crypto assets, from the owner's computer or smartphone. By protecting the private keys in a hardware wallet instead of on an exchange or in the cloud, users can rest assured that their assets are safe from attack. "As global data-ization continues to change people's lives, users are looking for trusted partners to protect their critical digital assets," said Pascal Gauthier, President of Ledger. "At Ledger, we offer customers a way to secure these assets, through our state-of-the-art technology. With the Ledger Nano X, we are delivering increased security, along with improved access through the new Ledger Live mobile app." Ledger announced that the Ledger Nano X has been awarded the CES Innovation Award in Cyber Security and Personal Privacy for 2019. The mobile app will be available in the App Store and Google Play from January 28, 2019.